Initially scheduled to arrive on April 10, it now appears upcoming Windows 10 Redstone 4 won’t be released until May 8. While the Redmond software maker released a new preview build – believed to be RTM – last week and it has been promoted to the Slow and Release Preview rings, the company may take its time testing this build before pushing it out to the public. The latest piece of information carries as much weight as all previous leaks since Microsoft has avoided to officially confirm or even hint at the release of the so far unnamed Windows 10 1803. Some reports have also suggested that the company will consider changing its name to Windows 10 1804 since it’s no longer finalized in March. 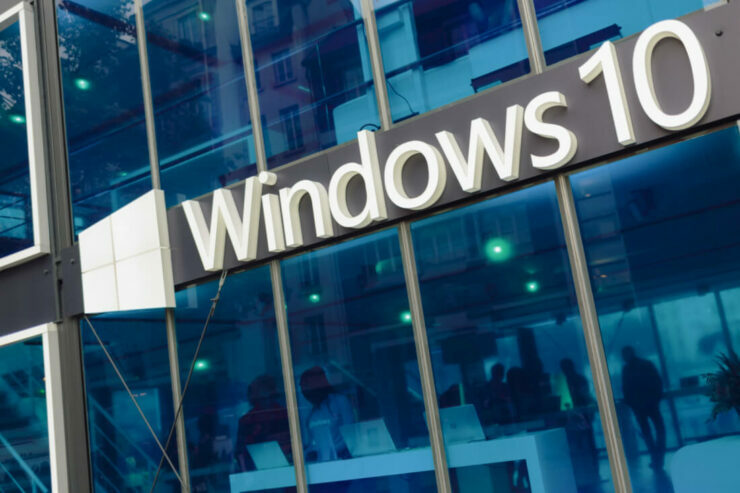 A tweet which claims to show a leaked internal memo sent to PC dealers in China has now suggested that Microsoft will begin rolling out the next Windows 10 version on May 9 in China (via Neowin), which would be May 8 afternoon in the United States. This falls on Patch Tuesday similar to the initially expected release date of April 10, which lands it some authenticity. Microsoft will also be busy with BUILD 2018 starting from May 7 and might use that opportunity to finally officially announce Windows 10 1803, or 1804 (it’s now getting beyond the point of confusion). Joe Belfiore is scheduled to keynote on that day at the developer conference. However, even if this internal memo is legit, it can’t be confirmed if Microsoft hasn’t planned to roll out Windows 10 Redstone 4 to its Chinese vendors a little after the initial rollout begins. Microsoft’s own page for Edge was spotted calling the upcoming update Windows 10 April Update, hinting at an April release. Since that is the only near-official thing we have seen so far, we believe Windows 10 Redstone 4 will be rolled out to the public by the end of this month if the company doesn’t have to deal with any last-minute bugs as was the case with 17133. In the land of confusion, the name of Windows 10 Redstone 4 is also yet to be confirmed. Reports suggested that the update that was so far known as the Spring Creators Update will either be called April Update or April 2018 Update. By now, very few care about the name and just want to see the release finally happening without any more drama.